Blood-Starved Beast (血に渇いた獣 Chi ni kawaita kemono lit. "Blood-thirsty Beast"), also known as the Thirsty Beast, is an optional boss in Bloodborne. This malformed beast has had all of the skin peeled off its back, making for a truly gruesome sight. Capable of extremely quick and agile attacks, this erratic and unpredictable enemy is a truly formidable foe, whether you choose to face it alone or with other Hunters at your side. Vicar Amelia yet. As you descend towards the chapel on the first staircase his summon sign will be on the right. This boss fight is optional, but it is necessary if you wish to do any of the Pthumeru Chalices, Hintertomb Chalices or accessing Hypogean Gaol for befriending Djura. Old Yharnam in a ruined church at the bottom of the area. Strong against Arcane and Bolt damage. In all three stages, the Blood-starved Beast can be parried. Blood-starved Beast is classified as a beast so anything that increases damage vs. Beasts will increase damage against it. All of the Blood-starved Beast's attacks are focused in front of her and she has no side attacks. Staying to her side/behind will always produce an opening. In its second and third phase, the Blood-starved Beast tends to attack in a succession of 5 or 6 swipes. These swipes have bad tracking and the boss will continue attacking in the general direction even if the hunter dodges behind it. Take advantage of this and retaliate while it whiffs. The Blood-starved Beast is susceptible to Pungent Blood Cocktail, which will distract it for a short time, leaving it open to attacks. Using the Black Church Set is a good idea as it has a good deal of Slow Poison RES. The Yharnam Hunter Set and Gascoigne's Set both provide high Slow Poison RES and are available before the Blood Starved Beast. Phase I: 100% hp - The boss is slow-moving and has very limited attack combos. Phase II: 66% hp - In addition to normal move set, it gains a couple attack combos and will now dodge away after each of its attacks, allowing one or two attacks before it moves. Its hits now build up Slow Poison. Phase III: 33% hp - In addition to the previous move set, it gains a couple of attack combos and becomes more aggressive with its attacks. Slow Poison liquid now spouts from the beast's body during its attacks. An easy way beat the beast (I've done it with only one Antidote and ~4-5 Blood Vials, level doesn't matter for this method). The requirement for this method is to have a Flamesprayer, which you can acquire from Gilbert after entering the citadel. You will also need 16 Blood Stone Shards (if possible) to upgrade it to +3, increasing the efficiency greatly. The Blood-starved Beast is very weak to fire in all three stages. Use the Flamesprayer whenever he's in range (you can experiment with the ranges before going to him) to ramp up the multiplier. Whenever you see that he wants to move on to the next stage, rush him and keep spraying. He is immobile in that time which allows you to build up a multiplier (see Flamesprayer page for details). As a result the beast is taking tons of damage, and your job is to simply dodge the three attacks he can do when taking tons of damage (the claw rush, the grab and the claw attack), which are his main 3 attacks anyway. What's more important is that using the sprayer does not consume stamina, and does not force you to be immobile, meaning dodging his fast attacks is less of a problem. Overall this method is very safe compared to the parry method (which simply involves parrying all of his attacks) and is relatively low on resource use. If you run out of bullets, you can press up on the d-pad to get 5 more (at the price of a bit of health). If you are playing solo I would highly recommend doing this method. As all of his attacks attack either forward or on HIS left side slightly it is recommended to dodge all of his attacks by rolling/sidestepping to the left (his right) for all of his attacks and if possible getting of a couple of free hits after he attacks. This method will work through all 3 stages of the fight but in his 3rd stage it is recommended to play more cautiously because of the slow poison build up. As mentioned in the above strat, dodging to the left works great on this boss. To add to it, for the entire first stage you can hug it's leg (your left) and keep swinging without needing to dodge. The slow claw swipe will miss every time. You only need to dodge (I recommend quickstep vs rolling) when he rears up for the big combo. This will still mostly work for the later stages, but you will have to dodge more often. You can however get a few quick hits during or after pretty much every combo it does. If you are on an Arcane build remember you can parry with the Augur of Ebrietas for some nice damage. I found that I actually did more damage if you follow the parry with two attacks from Ludwig's Ultra Greatsword form rather than doing a viceral. The Blood Starved Beast is extremely vulnerable to parrying. Shooting him when he raises up his claw during singular swipe, or before the last slash if its rapid slashes will immediately stagger him, leaving him to be riposted by visceral attacks continuously, it barely takes roughly 6-7 Visceral attacks to defeat this beast effortlessly. This fight can be quite a challenge so I will cover several methods and do remember it is not like the first encounter, for starters he has a lot more health, I went in with a 10+ Ludwig's Holy blade and was only doing around 500 damage in greatsword mode and in the grand scheme of things that is very little damage. One of ways you can beat him while parrying however I suggest things like the Formless Odeon rune which increases maximum bullets along with Odeon Writhe which restores bullets with each visceral attack. In this method you are going to want to be very precise and you should also use the blood bullets. Melee Method- For this you will need some sort of buff Fire paper works best but i used arcane, you will also need a high damage weapon that has long reach or quick slashes. You will need to learn his attacks so you can dodge them effectively (Use chart above) but during his final stage try some parries because they have the potential to do some really good damage. As we all know, the Blood-Starved Beast tends to be a troublesome and tense, yet annoying boss. However, due to the round arena, the fight can get pretty trivial. Treaded Cane +9, 10 Molotov Cocktails and 10 Firepapers. At the beginning of the fight, lock on onto the Beast and circle the room, facing the creature. It shouldn't attack you. First of, you throw your 10 Molotov Cocktails at it, all while keeping distance. After you spend your Cocktails, switch to the second weapon mode of the Treaded Cane, don't forget to imbue it with fire. Now its just up to you and your reflexes. Try to work with the corners of the room, it may get stuck in there for a few seconds, which can lead to some good hits. Just remember: The more its health depletes, the more aggressive and faster it gets! Claw Swipe Swipes hand across body. Be wary of charging in after the first swipe, as additional attacks may follow if the player remains close. Can be parried. Lunging Swipe Lunges forward while swiping claws. Be wary of its' speed and the distance it covers. Avoid this attack by dodging to the side. Can't be parried. Lunging Grab The beast lunges at and grabs the player before biting them. Inflicts Slow Poison. Before executing this attack, the Blood-Starved Beast will momentarily pause. When this happens, prepare to dodge. Rapid Slashes Extended string of rapid slashing attacks. Each successive slash carries the creature forward. Avoid this attack by dodging to the side. Can be parried. Poison Explosion After rearing back a cloud of poison shoots out of the beasts' body. A high damage attack with a moderate area of effect. May inflict Slow Poison. Although a risky proposition, opportunistic hunters can get in some free hits while the creature prepares for this attack. In the church after Djura in Old Yharnam, there is a crucified Blood-Starved Beast hanging in the center of the room. The Beast Patients beneath this corpse have formed a circle around her and they are chanting. On the altar several gold embossments depict The Moon Presence. It is of course concealed and you'll have to look closely. The limbs of Blood-starved Beast very much resemble the tails of The Moon Presence. When she perform her "poison explosion" she can mimic the form of Manus' horns with her flaps. In the encounter in Old Yharnam, it is possible for the Blood-Starved Beast to become stuck in the wall above the alcove behind the altar. If hit with a high-reaching weapon (tested with the Hunter Axe), the Beast can be defeated by effectively forcing it underneath the world. Lore theories exist under Blood-Starved Beast & Old Yharnam Lore. The one that sits inside the cave with the obnoxious gatling gun hunter will aggro everything except beast patients. You can lure him out and he will kill almost all the enemies in the area. Mine made it all the way to the rifle wielding hunters on the bridge before they killed him. The chalice dungeon is a bit of a different fight, learn the attacks and play it safe because he will bend you over in a heartbeat. Viscerals make it much easier. &apos;No Effort&apos; Strat ─ Requirement: Pungent Blood Cocktail, Beast Blood Pellet, Fire Paper, and Saw Cleaver (or any weapon). [First encounter with boss] When entering the boss room, go right immediately, at the fourth pillar, use Beast Blood Pellet and Fire Paper, throw Pungent Blood Cocktail into the corner, abuse transformation attack, and it should be done with 2 or 3 Pungent Blood Cocktail. But if it&apos;s your second encounter, use Beast Blood Pellet and Fire Paper before entering the fog wall. For the old yharnam fight , you just need to hit it with a long form weapon like rifle spear - for the first part of the fight and then dodge when it goes mad . And then head behind the altar when it gets more aggressive. This effectively traps him in a small area. After it follows just throw pungent blood cocktails at whichever way it comes round and then lay into it when it’s back is turned jump back when it turns and repeat , I did it without needing to use antidote , fire paper and only one blood vial and I’m no wonder gamer it really is that easy . I think this boss is a transformed chappel dweller. I mean, just compare him to the chappel dweller. They look awfully similar. Fire paper on two-handed axe makes this fight easy. Super easy fight if you simply maintain left dodge and strafe the entire battle. Throw an oil urn and a few molotovs at the outset (as he approaches) to take its health down by nearly a third before even striking a single blow. Try use your gun, when she is about to finsh her strike. Shoot her, it will cause a parry. That&apos;s the boss main weakness. I am still stuck on this boss. what gets me is the poisoning. So the ashen blood sickness was said to have "triggered" the beast plague, but I realized that doesn&apos;t necessarily mean the ashen blood IS the plague. In fact, it&apos;s apparent that the plague isn&apos;t the result of a bloodborne pathogen, but rather the form of a beast is a result of fear. 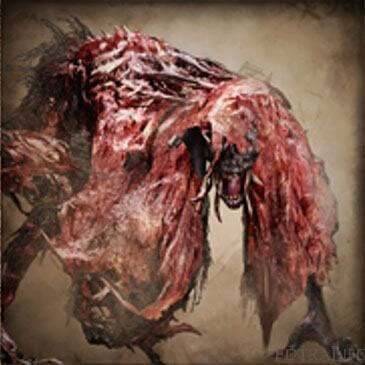 Think of it this way: the Healing Church was obsessed with perfecting their blood, but an outbreak of plague in Old Yharnam threatened their endeavor, and thus they deployed the hunters (likely led by Ludwig and/or Gehrman) to slaughter the infected. The hunters viewed the infected as poisonous beasts, and through this dehumanization, they found it easier to stomach slaughtering the innocent civilians. However, unbeknownst to the hunters, the Healing Church sealed the bridge to the Cathedral Ward, dooming the hunters to infection. Simultaneously, hunters like Ludwig who became obsessed with the hunt were also perceived as beasts, considering how uncontrollable and violent they had become. Eventually, hunters lose sight of themselves and overflow with the thirst for blood, attacking anyone and anything. This deluge of beasts drove the more sane hunters to set Old Yharnam alight, though this desperation could never erase the flood of horror that drowned the city, and thus the beasts of Old Yharnam, or at least their memory, survive to this day. I feel like the blood-starved beast represents both of these fears: for one, it&apos;s quite clearly infected with this "ashen blood," and the title "blood-starved" seems to hint that this beast is brimming with bloodlust. I&apos;d even wager this beast could be one of the hunters sent to cleanse the ashen sickness, now infected and desperate for blood. Furthermore, the fact that it guards one of the chalices might hint that this creature was connected to the Healing Church in some way, prior to its "transformation." It could also have been a minister of sorts, with the Church of the Good Chalice acting as a center of communion for the citizens of Old Yharnam, until the ashen blood took the city by storm.